A moustached manong wearing his cap backwards was up on a tree, oblivious to everything. 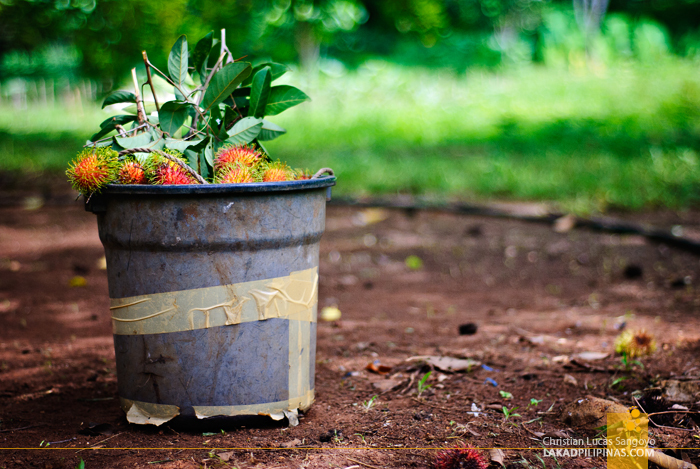 He was plucking rambutans from way up, throwing them down on a patched pail on the ground as soon as his hands become full. 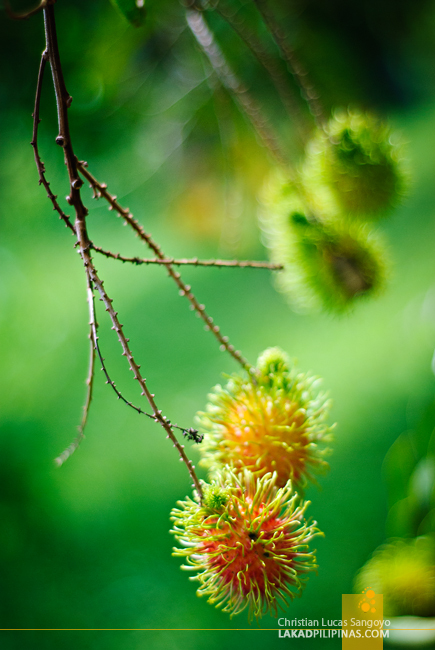 We were at Nica Farm in Antique and it was my first time to see rambutans on its native settings. 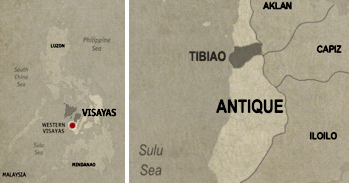 The day was slightly overcast as we arrived at Barangay La Paz in the town of Tibiao, but we never did mind. 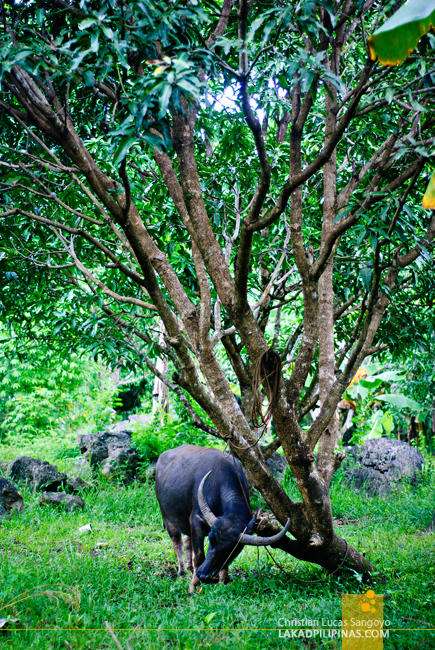 Nica Farm is located on a lush patch of land in Antique. While my idea of a farm, growing up in Cabanatuan City, is of rice fields; this particular one, while has its share of carabaos, has no fields at all. What it has though are rows upon rows of rambutan trees. And it’s a refreshing scene from the usual farm I’m used to. 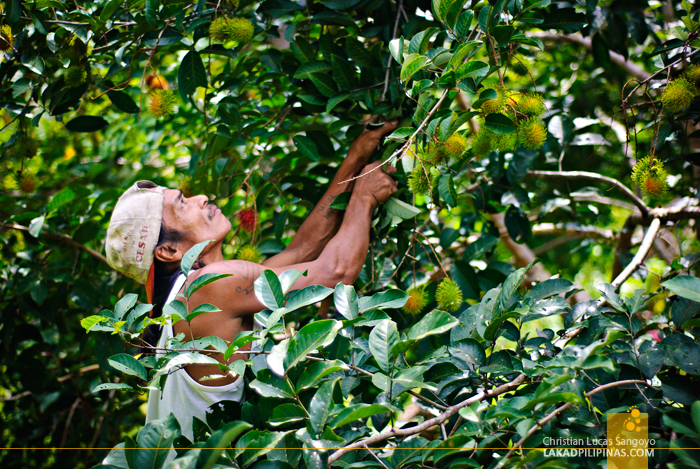 In fact, the rows of rambutans are not only refreshing; they’re quite beautiful and poetic as well. 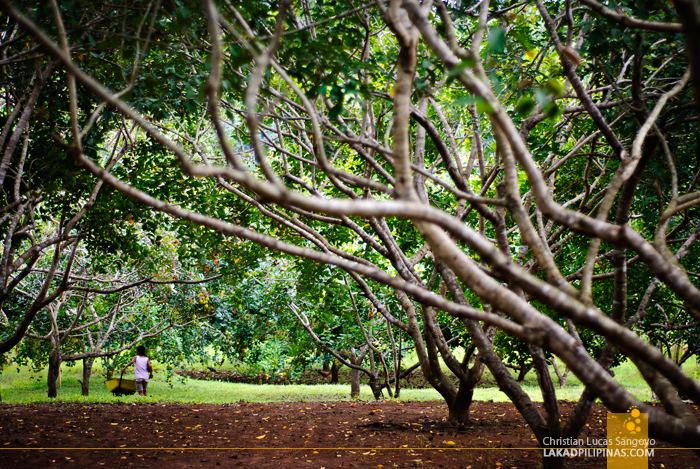 A lush snaking tree tunnels of rambutans. 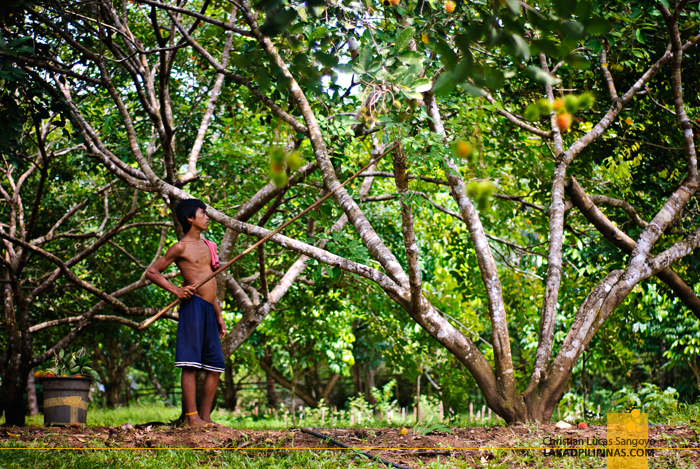 Nica Farm, named after the owner’s youngest daughter, is actually a private fruit orchard. But they do open the place to tourists for fruit pickings during weekends for a very affordable fee. You can eat everything you picked and you can even bring some home at a much cheaper price than those being sold in the market (about PHP 35.00 to PHP 50.00 per kilo). Besides rambutans, Nica Farm also produces other fruits like mangos, pomelos, bananas, lanzones, durians, and mangosteens. Of those, we only got to try their pomelo which was quickly devoured by the group. But really, I like rambutans better. While I think most Asians are familiar with the rambutan fruit, it being a tropical one. For Westerners, think lychee only with a wilder outer shell. The fruit is said to have originated from Indonesia, with its name coming from the word rambut which means hairy. You guess why. 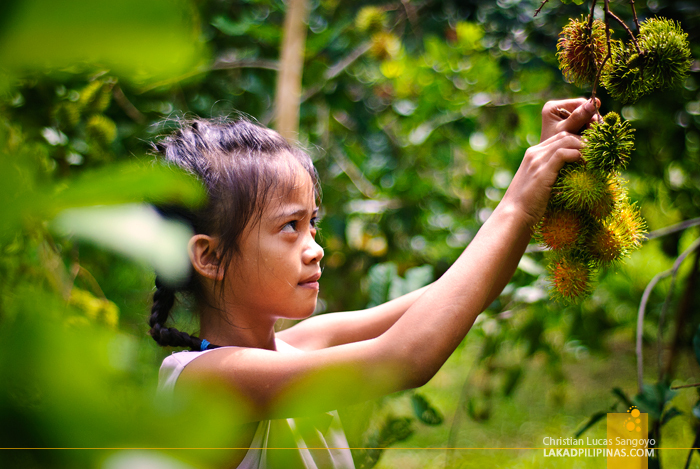 The usual rambutans Filipinos are familiar with are the red ones, the green ones usually considered as unripe. But that perception was squashed down while we were at Nica Farm. Here green rambutans rule. The farm folks told us that the green ones are actually much sweeter than its red counterpart. Well, to taste is to believe. 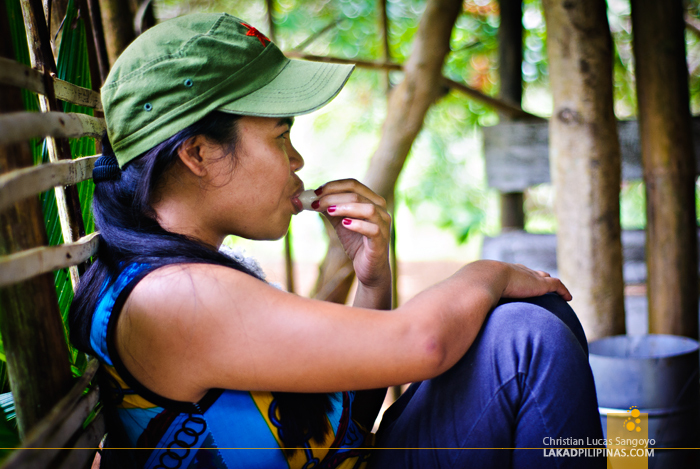 And cracking and tasting one green rambutan after another, we simply have to concur. It is true, at least, at Nicas rambutan farm. Ganda ng photos! Tsaka kamukha ni Gael yung nasa last pic. Hehe.